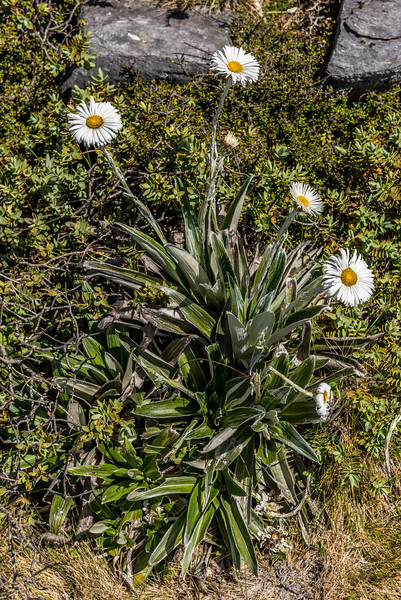 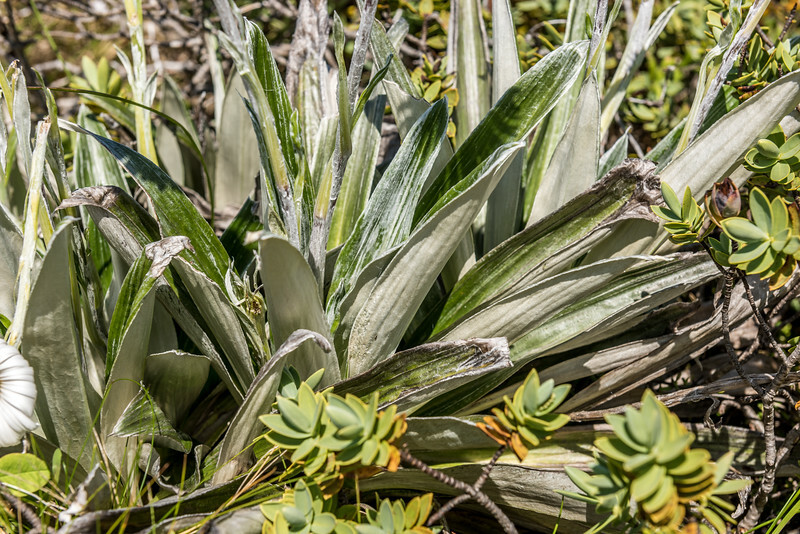 Large mountain daisy (Celmisia semicordata). 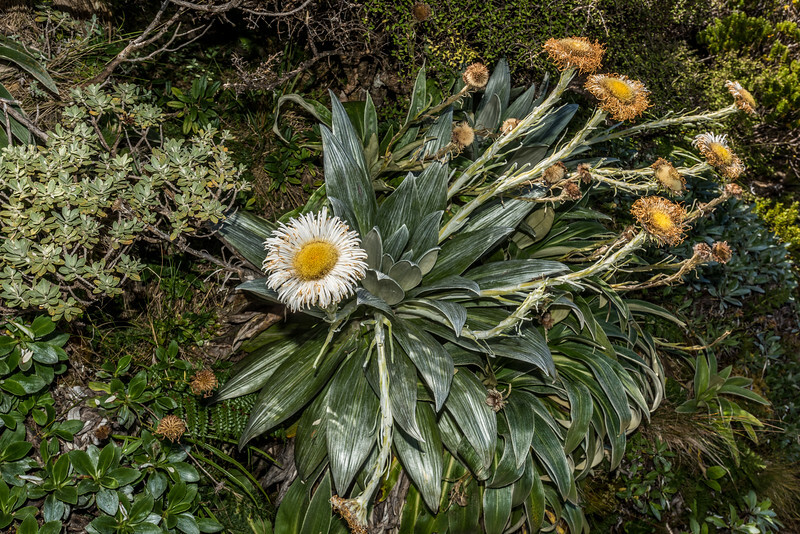 Routeburn Track, Hollyford Valley. 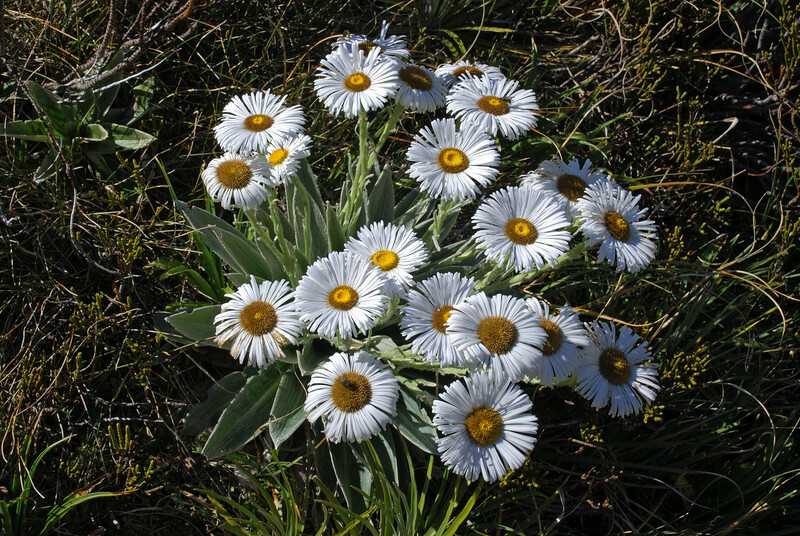 Large mountain daisy (Celmisia semicordata), Cascade Creek head basin. 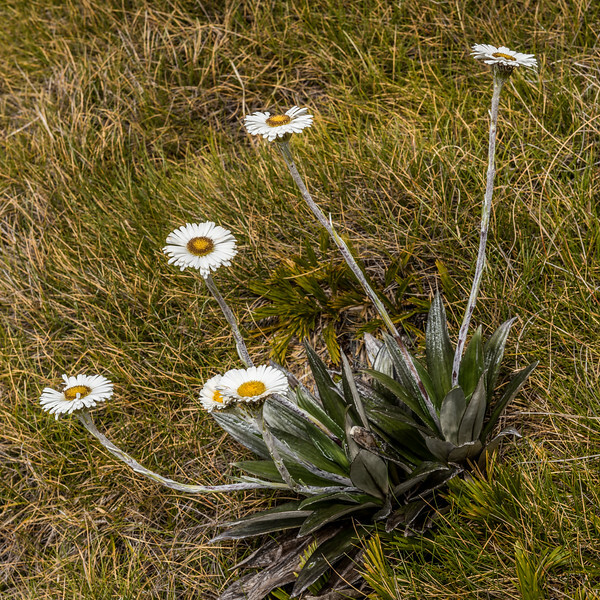 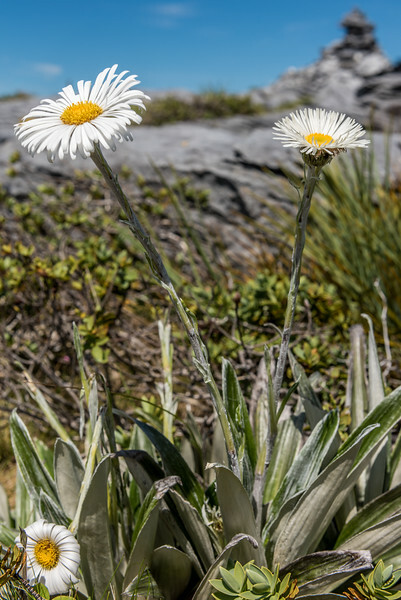 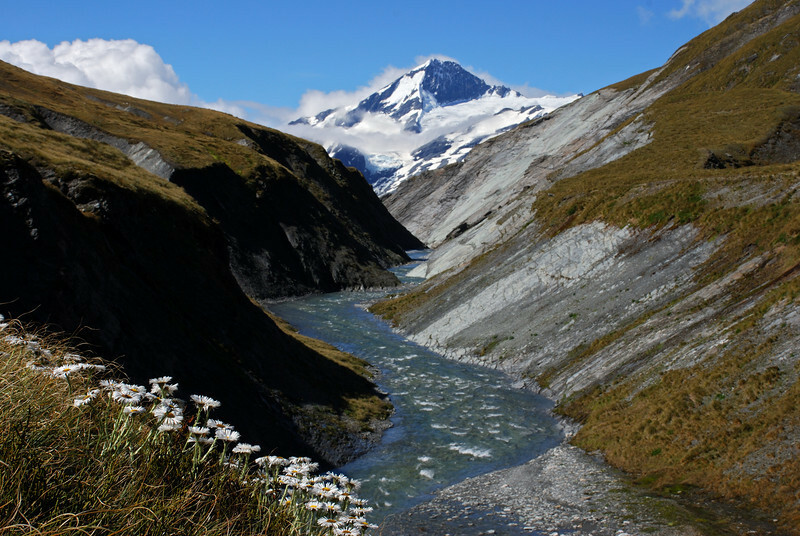 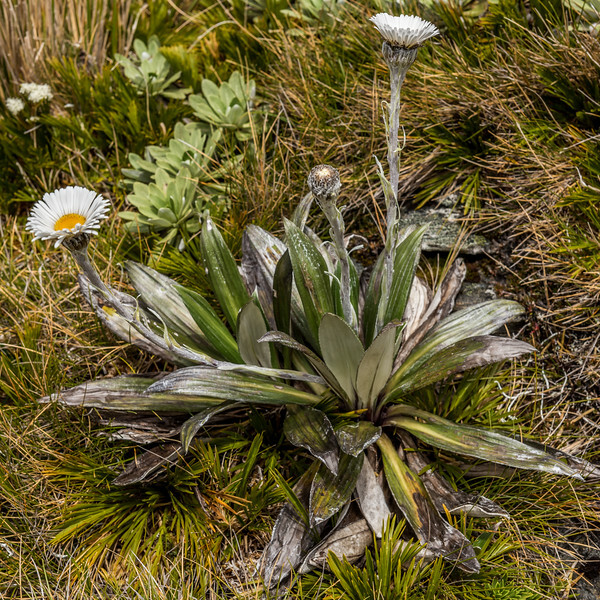 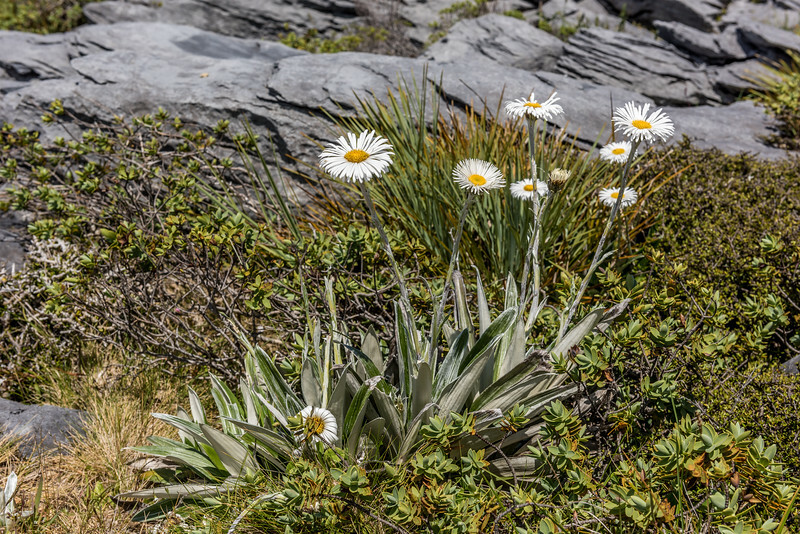 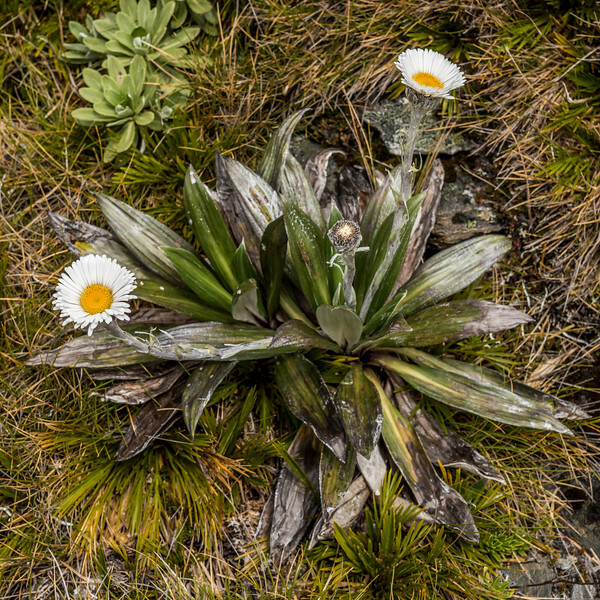 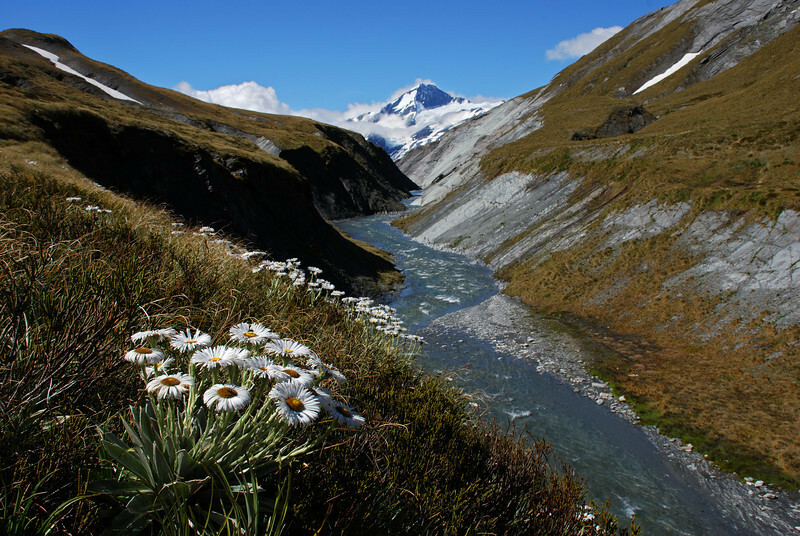 Large mountain daisy (Celmisia semicordata) in front of Mt Aspiring, Cascade Creek head basin.